Manufacturing giant Rolls-Royce has said the mid-air failure of one of its Trent 900 engines on a Qantas superjumbo had led to costs of £56m. The explosion in the engine forced an emergency landing of the A380 in November last year. The one-off cost contributed to annual pre-tax profits dropping 76% to £702m in 2010 from £2.96bn. Foreign exchange costs and interest rate and fuel hedging contracts also contributed to the profit fall. But the Derby-based company said that underlying pre-tax profits – which strip out one-off costs – were up by 4% to £955m in 2010 and were a better indication of its performance. Rolls Royce say that the may face further “modest costs” but this seems to be far too optimistic considering that all the engine servicing costs have yet to show up and all the various compensation claims from Qantas, Airbus, Lufthansa, and Singapore Airline will take some time to work their way through. Once all the claims are presented there is an even chance that some will need arbitration before settlement which will take some time. Investors will be scrutinising Rolls-Royce’s financial figures to try to find out how the recent engine failure that led to the grounding of six Qantas Airbus A380 aircraft affected the company. ……..
….. The long-term effects of the engine failure, for instance a potential fall in new orders over the months and years ahead, cannot be measured at this stage. Consequently, the final impact on the company’s bottom line is not yet known. It does not seem as if Rolls Royce have made any provision for further costs which is a little worrying and I stay with my estimate of around $300 million as the total hit that Rolls will have to swallow for the Trent 900 for the A380 in addition to any impact on engine sales. Judging from the delays the development cost of the Trent 1000 for the Dreamliner is also likely to be significantly more than budgeted or expected. It will be at least 2012 before the full financial impact is known though some residual impacts will continue for many years. The Rolls Royce Engine Syndrome (RES) strikes again. Flight QF2 carrying 352 passengers was about 30 minutes into its flight from Bangkok International Airport when one of its engines began “consuming fuel more quickly than normal” a Qantas spokesman said. It was forced to return to Bangkok where it landed safely about 7pm local time (11pm AEST). 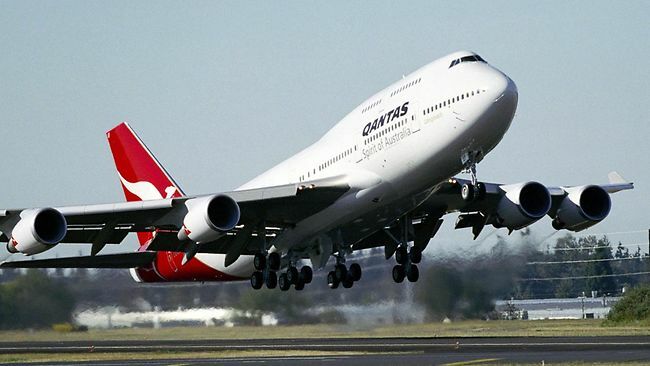 Affected passengers are expected to spend a second night in temporary accommodation with Qantas scrambling to send a replacement engine from Sydney for the troubled Boeing 747 today. “As far as possible we will try and get passengers who need to return to Sydney urgently on other flights but that will be dependent on availability on other airlines,” the spokesman said. “It was not actually an engine failure, (the pilots) did not shut the engine down they just reduced the thrust.” However one passenger on the flight says the engine “blew”. The spokesman said there were no other replacement Qantas aircraft available in Bangkok. While Qantas had restarted flying its A380 aircraft with Rolls Royce Trent 900 engines on 27th November after the engine failure on 4th November, its flights to Los Angeles remained grounded since the engines had not been cleared for operating at the higher thrust levels necessary for reaching LA. Qantas said on Wednesday it hoped to resume normal A380 operations from January 17 but it would still need the go-ahead from Australia’s aviation regulator before flying the superjumbo aircraft on the lucrative route……. Qantas said on Wednesday it expected to have eight A380 aircraft in the air by early February, up from five currently. The airline is scheduled to take delivery of a new A380 aircraft in mid-January and another new aircraft by early February. A third A380 currently grounded in Sydney was also due to be operating by mid-January……. Analysts estimate damages to Qantas could reach $60 million, although forecasts vary. The LA route is one of Qantas’ most profitable. For Rolls Royce, getting Qantas back to full operation is critical to bringing this chapter to a close and to limiting at least one part of the inevitable claims that will come. They will also face claims from Airbus who announced a few days ago that they would only deliver 18 A380’s during 2010 and would not reach their already reduced target of 20 planes. This delay is put down to the extra inspections caused by the fault in Rolls Royce engines. No doubt Singapore Airlines and Lufthansa will also have claims on Rolls Royce. I still estimate that the total costs to Rolls Royce will reach $300 million. 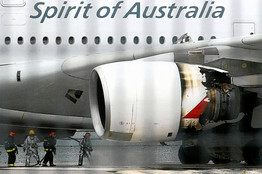 Agence France-Presse/Getty Images The damaged Rolls-Royce Trent 900 engine and wing section from a Qantas Airways Airbus A380. European aviation regulators on Tuesday substantially relaxed tight inspection rules covering Rolls-Royce Group PLC engines on Airbus A380 superjumbo jetliners, signaling that safety concerns about the planes are fading. The European Aviation Safety Agency, dropping emergency mandates to inspect Trent 900 engines after every 20 flights, moved to require repetitive inspections of most of the engines after 100 flights. The change is likely to reduce disruption of flight schedules, according to industry officials. EASA’s move follows intensive inspections of Trent 900s on A380s operated by Qantas, Singapore Airlines Ltd. and Deutsche Lufthansa AG. In its latest directive, the agency said a review of manufacturing and inspection data convinced safety officials that many “lower risk” tubes are less prone to fracture and therefore don’t need such frequent checks. 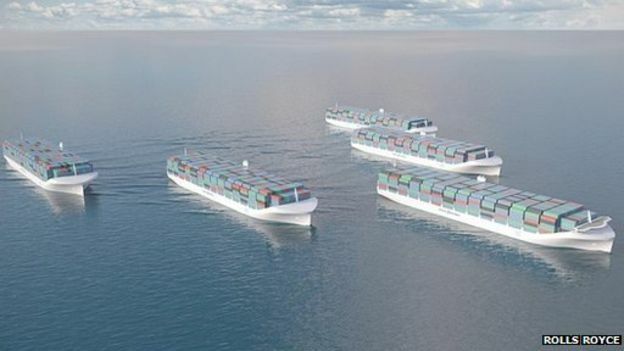 Lifting the emergency directives so quickly, particularly after such a high-profile and dangerous event, indicates much of the fleet is unaffected by oil-system manufacturing defects. To further assure the safety of Rolls-Royce-powered A380 jets, European regulators previously also ordered upgrades of Trent 900 electrical systems to prevent engine parts from turning dangerously fast, a condition that can lead to disintegration of spinning disks. Those enhancements already have been incorporated into the A380 fleet. Problems caused by a manufacturing defect on an oil-supply tube have been blamed for the explosive failure of a relatively new Trent engine on the Qantas jet shortly after takeoff from Singapore. The fault has been found on the current fleet as well as at least one new plane slated for delivery to Qantas, according to industry officials. But on Tuesday, EASA for the first time specifically defined what it considers to be an acceptable minimum thickness for the walls of the tubes. EASA’s decision also is good news for Qantas and the other carriers that fly A380s with Rolls-Royce engines because those airlines have been concerned about potential schedule disruptions and longer required layovers to accomplish the inspections. 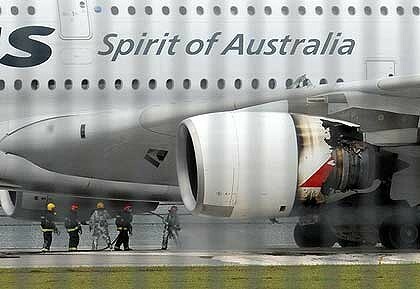 Australian Transport Safety Bureau report: The Trent 900 engine blew out after the Qantas A380 took off from Singapore on Nov. 4. It would seem that the initial failings of the Trent 900 have now been found and are being rectified. But it needs a few more months of operation before it can be said that all the “teething” problems of the Trent 900 have been identified and resolved. The costs for the fix – mainly to be borne by Rolls Royce – have still to be added up and will not be finally clear for a few more months. 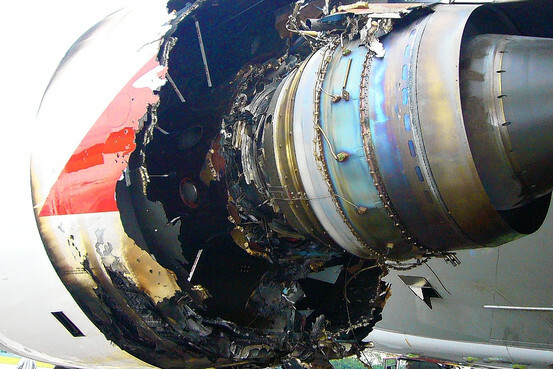 EASA had also relaxed inspection requirements before the explosion on the Qantas A380 probably in response to representations by the engine manufacturer and /or the airlines. One hopes that their decision to relax inspections this time is not just in response to pressure. 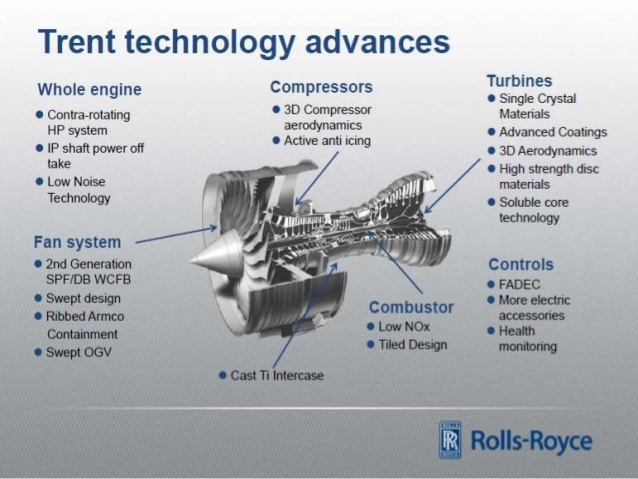 The Trent 900 fix is not going to be cheap for Rolls Royce. I am still maintaining my estimate that the total cost for the engine manufacturer will be in excess of $300 M.
Australia’s Qantas Airways Ltd. Thursday said it has taken measures that would allow litigation against Rolls-Royce Group PLC if it fails to reach a commercial settlement over the recent failure of a Trent 900 engine powering one of its A380 super jumbos. Qantas confirmed in a statement it is in talks with Rolls Royce over the “financial and operational impacts” of the engine failure. Also Thursday, the international carrier said it plans fresh inspections on the Trent 900 engines after Australian safety regulators said they have identified a possible manufacturing flaw. Qantas was forced to ground its fleet of six A380s last month after an engine on board flight QF32 exploded above Batam Island, Indonesia shortly after the airplane took off from Singapore, en route to Australia on November 4. Two of the mega airliners have since returned to service. The explosion has put U.K., Derby-based Rolls-Royce engines under the microscope as airlines around the world that operate the Airbus A380 run a raft of safety tests. Airbus is a division of European Aeronautic Defence & Space Co.
A statement of claim has been filed by Qantas and an injunction by the Federal Court of Australia granted, ensuring the carrier can pursue legal action if settlement does not emerge, it said in a statement. Australian safety investigators now believe the cause of the November mid-air drama may have been a manufacturing defect with an oil tube connection on some Trent 900 engines. That problem could cause oil leakage, cracking and possible engine failure from an oil fire, the Australian Transport and Safety Bureau said Thursday. 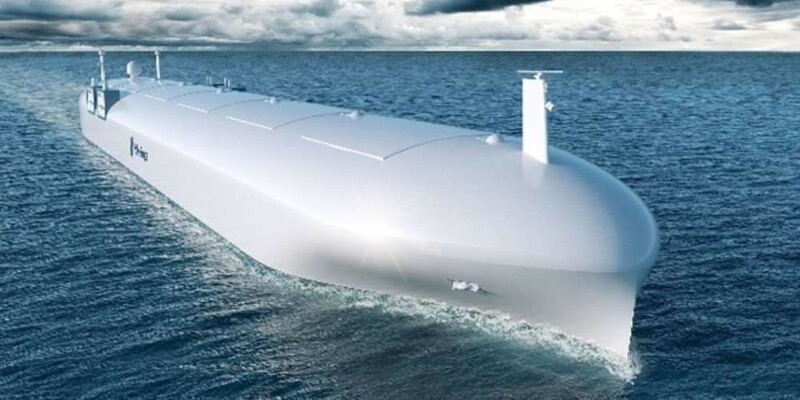 “The safety recommendation of the ATSB is consistent with what we have said before. We have instituted a regime of inspection, maintenance and removal which has assured safe operation. This programme has been agreed in collaboration with Airbus, our airline customers and the regulators,” a Rolls-Royce spokesman said. Singapore Airlines, Lufthansa and even Airbus (EADS) can have claims on Rolls Royce and all may well have to resort to legal action to reach settlements. Qantas and Airbus have the greatest potential claims. Whether Rolls Royce knew about defects in advance of the accident on QF32 will be a key issue to determine if the engines delivered by Rolls Royce were actually “fit for service”. If the engines were not “fit for service” it opens the door to an even greater levels of claims on Rolls Royce. Chief Executive Officer Alan Joyce will be on the first flight, which will go to London from Sydney via Singapore, he said at a media briefing today. The carrier will conduct further inspections with Airbus, regulators and engine-maker Rolls-Royce Group Plc before resuming other routes, it said in a statement. The carrier will have four 450-seat A380s in service before Dec. 25, including two new ones, Joyce said. The airline is also due to receive two superjumbos next year. Joyce said it is too early to estimate the cost of the disruption caused by grounding the A380s or to comment on whether the carrier will seek compensation. Reports in Australia said Rolls-Royce was about to impose new guidelines on users of its Trent 900 engines stipulating that they cannot be operated at above 70,000 pounds of thrust. Downgrading thrust to 70,000 pounds would knock out Qantas’s A380 services from Sydney and Melbourne to Los Angeles, a worrying development for the Australian airline that dominates the Pacific route. “72,000 pounds of thrust is needed for the Pacific route,” a Qantas spokesman said. The airline would not comment on reports that at 70,000 pounds of thrust, Qantas A380s would be forced to fly to Los Angeles less than half full. 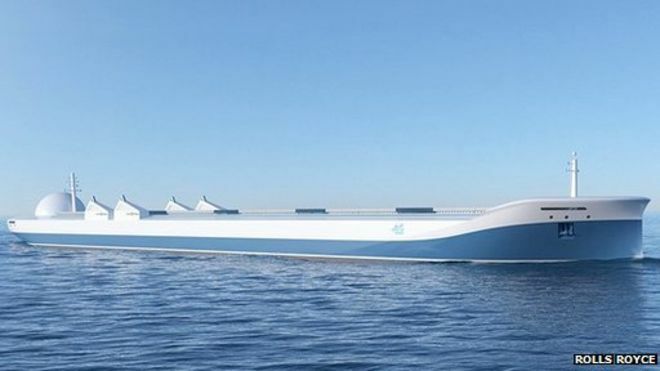 It said the voluntary suspension on the Pacific route remains “until further operational experience is gained or possible additional changes are made to engines”. “Pilots still have access to maximum certified thrust [of 72,000 pounds] if they require it during flight. It is not a manufacturer’s directive,” the company added.